THE BRAM STOKER AWARD® FOR LIFETIME ACHIEVEMENT is presented periodically to an individual whose work has substantially influenced the horror genre. While this award is often presented to a writer, it may also be given for influential accomplishments in other creative fields. The Horror Writers Association has chosen two long-time icons of the genre to receive the prestigious Lifetime Achievement Award this year. 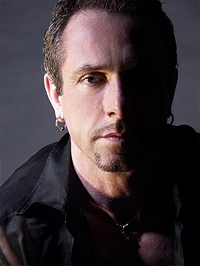 The award, given in recognition of the recipient's overall body of work, will go to Clive Barker and to Robert McCammon. A visionary, fantasist, poet and painter, Clive Barker has expanded the reaches of human imagination as a novelist, director, screenwriter and dramatist. An inveterate seeker who traverses between myriad styles with ease, Barker has left his indelible artistic mark on a range of projects that reflect his creative grasp of contemporary media -- from familiar literary terrain to the progressive vision of his Seraphim production company. His 1998 Gods and Monsters garnered three Academy Award nominations and an Oscar for Best Adapted Screenplay. The following year, Barker joined the ranks of such illustrious authors as Gabriel Garcia Marquez, Annie Dillard and Aldous Huxley when his collection of literary works was inducted into the Perennial line at HarperCollins, who then published The Essential Clive Barker, a 700-page anthology with an introduction by Armistead Maupin. Barker began his odyssey in the London theatre, scripting original plays for his group The Dog Company, including "The History of the Devil", "Frankenstein in Love" and "Crazyface". Soon, Barker began publishing his The Books of Blood short fiction collections; but it was his debut novel, The Damnation Game that widened his already growing international audience. He shifted gears in 1987 when he directed Hellraiser based on his novella The Hellbound Heart, which became a veritable cult classic spawning a slew of sequels, several lines of comic books, and an array of merchandising. In 1990, he adapted and directed Nightbreed from his short story "Cabal". Two years later, Barker executive produced the housing-project story Candyman, as well as the 1995 sequel Candyman 2: Farewell to the Flesh. Also that year, he directed Scott Bakula and Famke Janssen in the noir-esque detective tale Lord of Illusions. Barker's literary works include such best-selling fantasies as Weaveworld, Imajica, and Everville, the children's novel The Thief of Always, Sacrament, Galilee and Coldheart Canyon. The first of his quintet of children's books, Abarat, was published in October 2002 to resounding critical acclaim, followed by Abarat II: Days of Magic, Nights of War and Abarat III: Absolute Midnight; Barker is currently completing the fourth in the series. As an artist, Barker frequently turns to the canvas to fuel his imagination with hugely successful exhibitions across America. His neo-expressionist paintings have been showcased in two large format books, Clive Barker, Illustrator, volumes I & II. The HWA's Lifetime Achievement Award Committee Chair, Yvonne Navarro commented, "Clive Barker has had an enormous influence on Gen-X horror authors and has a marked influence on horror as a whole through his writing and movies; his Cenobites have become imprinted in the darkest corners of the public imagination. From his Books of Blood in 1984 to the volumes of his Abarat Quintet, he has continually pushed the boundaries of horror genre to extend above and beyond any kind of stock definition. His vision extends beyond the written word, encompassing art, film, comics, video games, toys and more. He is truly a 21st century multimedia artist." Clive responded, "The timing of this award is entirely unexpected. It has been a difficult year personally and I am very honored by this and I accept it with great gratitude. It's a lovely thing to get and I'm incredibly moved. Truly. I look back over the list of past winners - Ray Bradbury, Vincent Price, Harlan Ellison, Steve King - and see that I am in unparalleled company, so I'm doubly honored by that. From the bottom of my heart, I thank the Horror Writers Association." Robert McCammon is a New York Times bestselling author and World Fantasy award winner. He is the author of seventeen books, among them the novels Boy's Life, Swan Song and The Five. A native of Birmingham, Alabama, McCammon is better known to his friends and in the horror community as "Rick". He has won numerous awards, including the French Grand Prize of the Imagination Award for Best Foreign Novel for The Wolf's Hour. His novel The Queen Of Bedlam was nominated for the 2008 Thriller Award from the International Thriller Writers, and he is very pleased to be published in dozens of languages around the world. He won the Bram Stoker Award for Superior Achievement in a Novel for Swan Song (1987), Mine (1990) and Boy's Life (1991). McCammon is currently writing a series of ten books centered around a young detective named Matthew Corbett in colonial New York in the early 1700s. The third in that series, Mister Slaughter, was published early in 2010 and the fourth, The Providence Rider, in 2012. 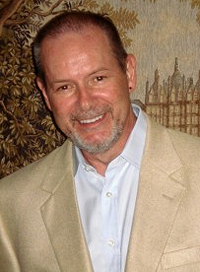 McCammon is one of the founders of the Horror Writer Association, along with Dean Koontz and Joe and Karen Lansdale. He is currently working on the fifth in the Corbett series, titled The River Of Souls, and also on a large-scope science-fiction/horror novel. Yvonne Navarro said, "Robert McCammon is one of the original masters of horror fiction who was influential on those who began reading horror during the boom of the 70s and 80s; the New Twilight Zone adaptation of his story "Nightcrawlers" further influenced a generation of horror media fans. The excellence of his earlier work continues to delight new readers, and now that he's returned to writing after a nearly twenty-year break, both long-time and new fans eagerly await his future books. McCammon was instrumental in the creation of the Horror Writers Association and has mentored numerous authors throughout his career." Rick responded, "I'm pleased and honored to have been part of the creation of the Horror Writers of America (now the Horror Writers Association), and doubly pleased and honored to be given this award. Thank you and I look forward to seeing you in New Orleans." The Lifetime Achievement Award is the most prestigious of the Bram Stoker Awards, given by the HWA in acknowledgment of superior achievement not just in a single work but over an entire career. Past Lifetime Achievement Award winners include such noted authors as Stephen King, Anne Rice, Joyce Carol Oates, Ray Bradbury, Chelsea Quinn Yarbro, Ramsey Campbell and Peter Straub. Winners must have exhibited a profound, positive impact on the fields of horror and dark fantasy, and be at least sixty years of age or have been published for a minimum of thirty-five years. Recipients are chosen annually by a committee; this one chaired by Yvonne Navarro and including John Everson, Kathy Ptacek, Lucy Snyder and Tim Waggoner. The LAAs will be presented on June 15 as part of the Bram Stoker Awards Banquet, at the Bram Stoker Awards Weekend, incorporating World Horror Convention 2013 in New Orleans. Robert McCammon will be in attendance and Mark Miller will accept for Clive Barker.